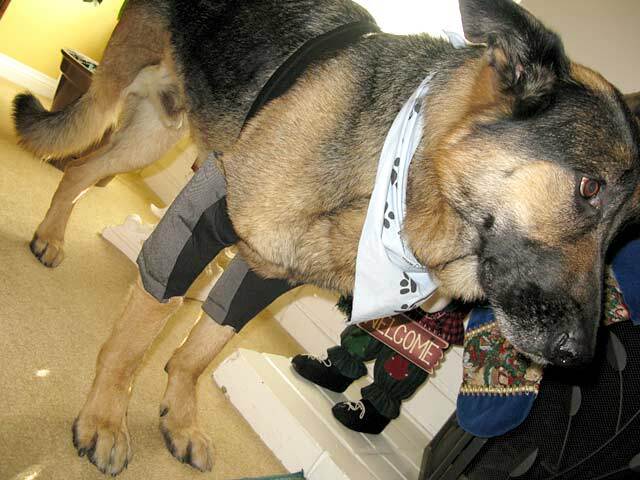 Protect those elbows with Canine Elbow Protective Sleeves (size XL) and enjoy some healthy dog treats too! 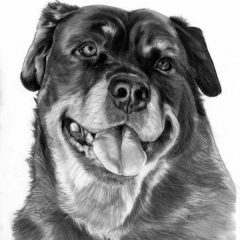 Many large breed dogs, as well as most Tripawds, can be prone to painful elbow pressure sores. 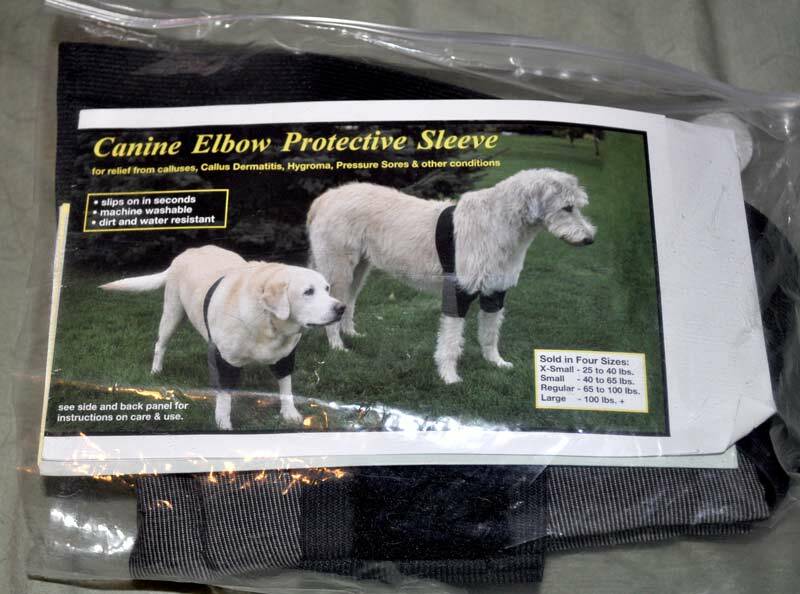 Thankfully Canine Angels makes the Canine Elbow Protective Sleeve! Our very own Doctor Pam W. has donated a pair of sleeves in Size Extra Large. 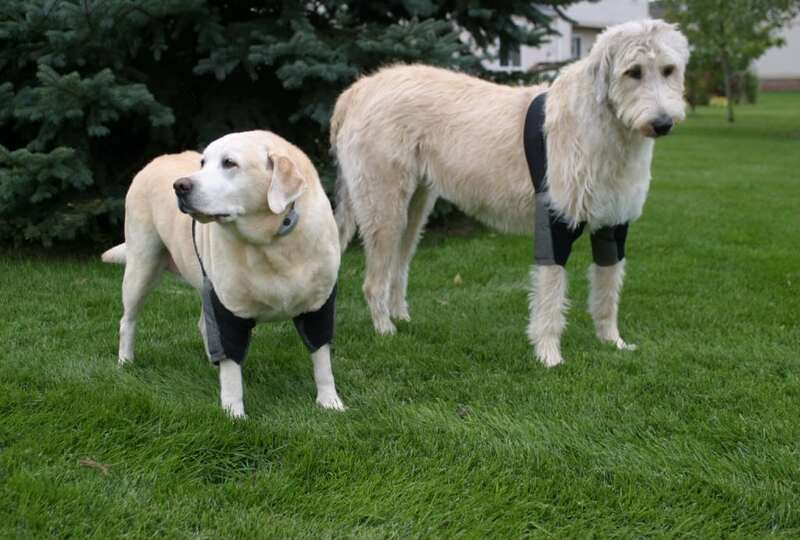 The sleeves provide comfort and protection for dog elbow wounds, callus dermatitis, hygroma, soreness and bleeding. 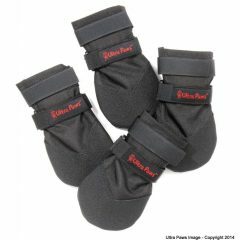 The sleeves are cushioned with foam padding, slip in on seconds, and are adjustable with velcro straps. 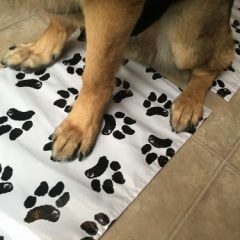 Durable and resistant to dirt or water damage and machine washable. 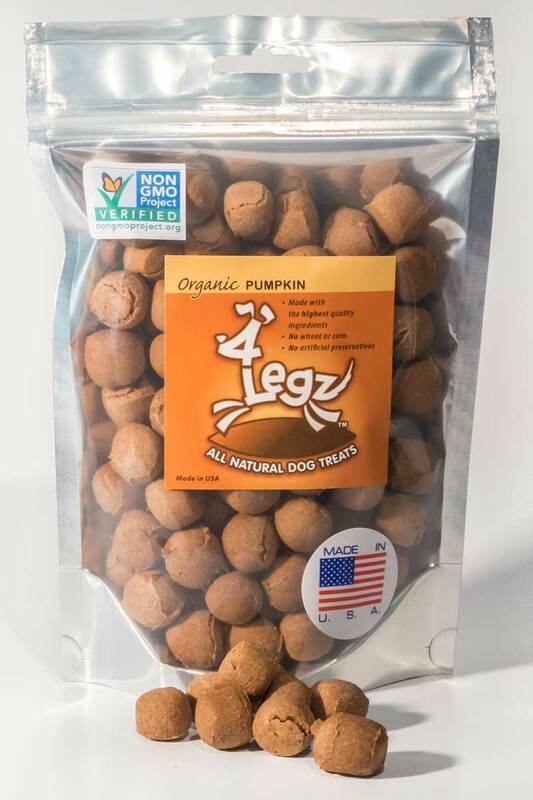 Also included are 4 packages of healthy dog treats from 4Legz in Organic Pumpkin, Organic Sweet Potato, Chehalis Mint, and Kitty Roca flavors. 4Legz treats are organic, natural, GMO-free, made from ingredients you can pronounce and made in the USA! NOTE: The Elbow Protectors package has been opened but the pads have never been worn. Check size before bidding! No Returns. Domestic (U.S.) shipping included in minimum bid, international winners will be notified regarding any applicable additional fees required for delivery. These are awesome. I have a pair for Bosch. He had a hygroma and they helped. 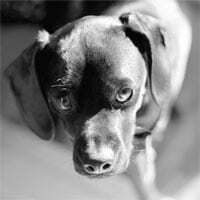 Not just for Tripawds.